to be true. Well, it IS true, and it is THAT good. You can feel results in about an hour. Thanks to the perfect interplay of collagen and tanning, mon amie, the first Collarium® worldwide, makes the dream of youthfulness and attractiveness come true. There is nothing closer to our hearts than your beauty and health, especially that of your skin. Appealing complexion, silky smooth skin and youthful freshness – provided by mon amie! The light spectrum provided by the specially designed Collagen Plus Tubes in the mon amie Collariums® does not only refill the collagen deposits of the skin which compensate for the loss of elasticity and moisture. Additionally, it strengthens the body’s entire collagen network which also comprises sinews, ligaments and joint capsules. 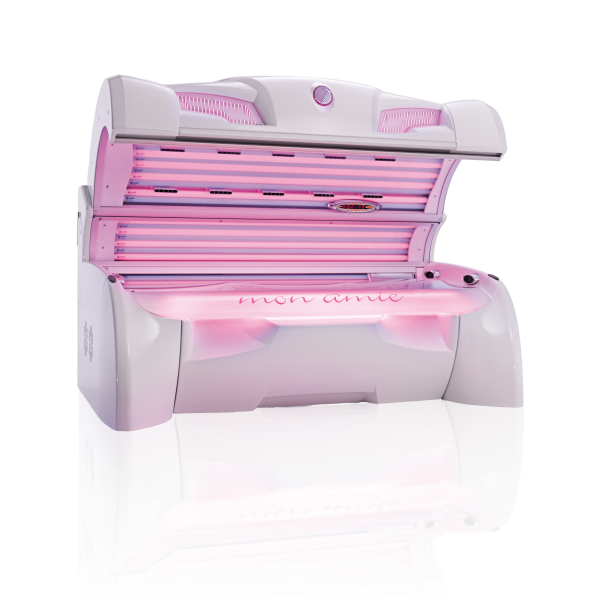 Optional UV-tanning provides you with a fresh complexion and recharges your vitamin D batteries. Feel the power of light – to boost your health, beauty and vitality! BleachBright features state-of-the-art technologies that are safe, industry-unique and very cost-effective. 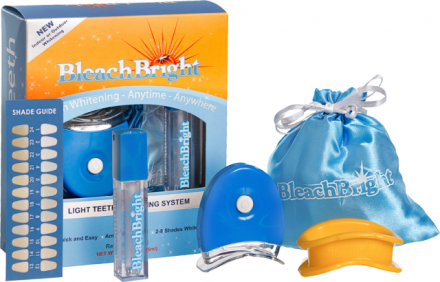 The patent- pending blue light emission LED lighting systems are calibrated precisely for optimal activation of our exclusive BleachBright whitening gel solution. The entire teeth whitening process is accelerated and able to be completed in just 15 to 20 minutes!. BleachBright mouthpieces are specially designed for maximum comfort and focused LED targeting. Perfect smiles are created with our trendsetting system that has been clinically proven to be unmatched in terms of safety and effectiveness. Our special lighting systems intensify the release of hydroxyl radicals that accelerate the dissipation of tooth stains. Our advanced spectrum LED light is precisely positioned and controlled. Its energy is directed just to the outside of the clear mouthpiece between the upper and lower teeth. This very safe visible blue light works in conjunction with the patent-pending BleachBright whitening gel to achieve extraordinary results. Our dual action FIT Bodywrap may seem too good to be true. Well, it IS true, and it is THAT good. You can feel results in about an hour, and can potentially have dramatic results after a few consecutive visits. So, for anyone still wondering how, here are the answers to the questions we get asked most. It’s all about science. 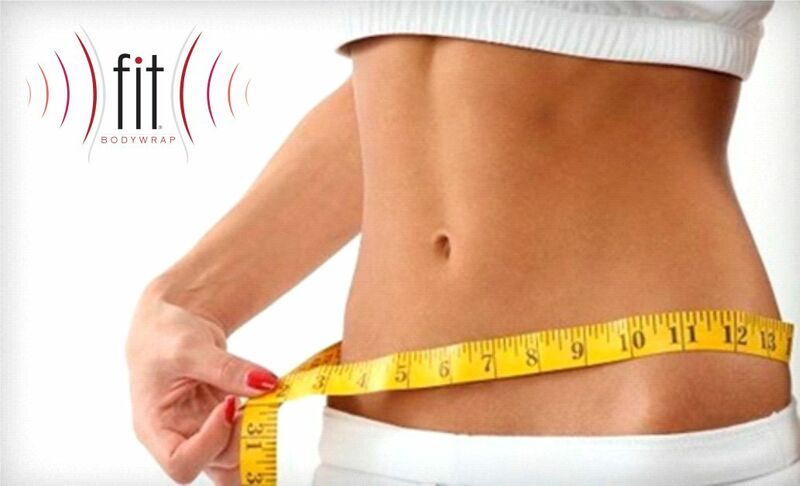 FIT Bodywrap uses a dual action process to get rid of excess fat in your body. Before starting your FIT Bodywrap, you have the option of applying the FIT Booster – a special spray designed to increase the effects of the bodywrap and highly recommended to speed up desired results. FIT Booster actually makes your body work harder to produce sweat. 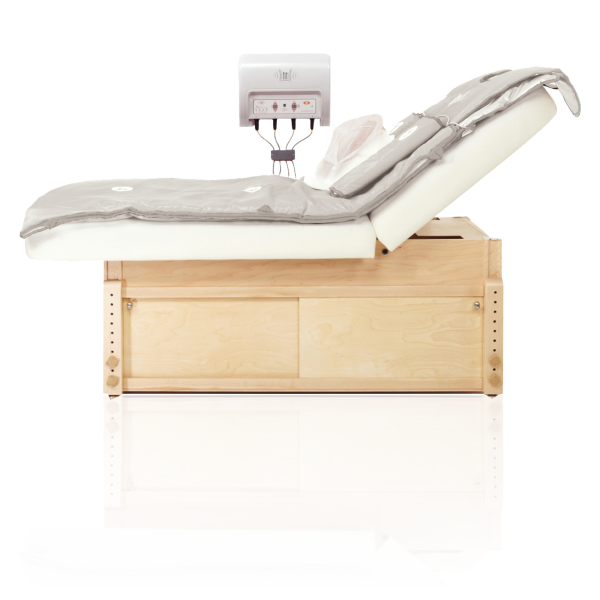 The far infrared heat of the bodywrap then causes stored fat to break down and be converted into fatty acids. • As your body heats up, you begin to sweat as part of your body’s natural cooling down process. The sweat is fueled by the energy from the converted fatty acids. • A single FIT Bodywrap session burns 1200-1400 calories. How long does each customer session take? Clients have 10 minutes to prepare themselves for the Fit Bodywrap session in the privacy of their own room. The Fit Bodywrap session is 60 minutes long. The Fit Bodywrap is a full bodywrap that you step into like a pair of one piece pajamas. Due to the bodywrap’s shape, your body is fully covered to reduce the amount of cold spots. During the session you can personally adjust the level of heat within 4 different zones consisting of arms, chest & abdomen, hips & thighs, and legs & feet. Infrared heat is “radiant” heat. Radiant heat is a form of energy that heats objects directly through a process called conversion, without having to heat the air in between. Radiant heat is also called far infrared energy. Infrared rays in the electromagnetic spectrum cannot be seen, but are felt as heat. Like sunshine, you feel the heat but you can’t actually see the rays! Far infrared energy is a part of the natural spectrum of sunlight, minus the UV rays and other visible colors. Your body can absorb far infrared energy because of its deep penetrating ability. When far infrared energy penetrates skin, it transforms from light energy into heat energy. The thermal effect within the deep layers of tissues cause blood vessels in capillaries to dilate, promoting better blood circulation, and the heat produced helps to rid your body toxins and metabolic wastes by causing you to sweat. Far infrared energy also stimulates the dilation of peripheral blood vessels, bringing oxygen to joints and extremities, relaxing stiff muscles, and even speeding the healing of sprains and strains. The increased blood flow helps aching and injured muscles recover faster because of the stronger blood flow and the quicker metabolic and toxic waste production being purged from your body by sweating. Can a FIT Bodywrap really make my skin better? Yes, the far infrared energy in a FIT Bodywrap® increases blood circulation to carry great amounts of nutrients into your skin (promoting a healthy skin tone and texture), while flushing waste and impurities out of the skin. Is a FIT Bodywrap® safe? Who is the FIT Bodywrap® right for? EVERYONE!